By 2001, Jay-Z was clearly the king of the rap world and R. Kelly had established himself as the don of R&B. While rappers often had singers like R. Kelly do hooks and singers often featured rappers on their songs, hip hop and R&B had never really had a marriage. But, in 2001, this all changed when Jay-Z and R. Kelly teamed up for their Best of Both Worlds album. Upon its release, the album did not live up to any of the expectations pinned on it. With Jay-Z being the top hip hop exec and with Def Jam behind him, the people expected more. 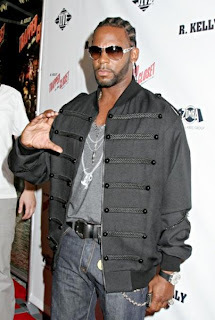 R. Kelly was also a major player over at Sony, so the promotion was expected to be more potent than it was. Their combination was hyped with Jay-Z's verse on the remix of "Fiesta." However, only a platinum album came from their collaboration and there were rumors of friction between the two parties. At the time, both Jay-Z and R. Kelly tried to dispel any rumors of a feud. In an effort to calm things down, they reunited for another disappointing album in 2004, during Jay-Z's "retirement." Following their second time trying to collaborate, things became violent during their tour. Because of the fight that took place between the Roc-A-Fella camp and R. Kelly, Kels quit the tour and Ja Rule had to fill in for him. Now, six years following the fallout between Jay-Z and R. Kelly, Kelly has decided to open up on why things did not go as planned. Yes, in 2001, Jay-Z was the king of the rap game, but when Jay-Z was still trying to break into the game, Tupac was dominating the rap scene and R. Kelly was solidifying himself as the man in the R&B game. Before Tupac's untimely death, in 1996, he had talked with R. Kelly about the possibility of doing a rap meets R&B-type album. After a bit of discussion, the two agreed to do an album they would call Best of Both Worlds. The first record from the album was to be "I Wish." Instead of coming out late in 2000, the song was supposed to be recorded in 1997, but Tupac's death, obviously, caused the song to go unreleased. But, going forward with his career, R. Kelly eventually recorded the track and it became one of his biggest hits. Another song off the album, "Fiesta," led to Jay-Z calling and the Best of Both Worlds project coming out anyway.